This modern stool is absolutely elegant. 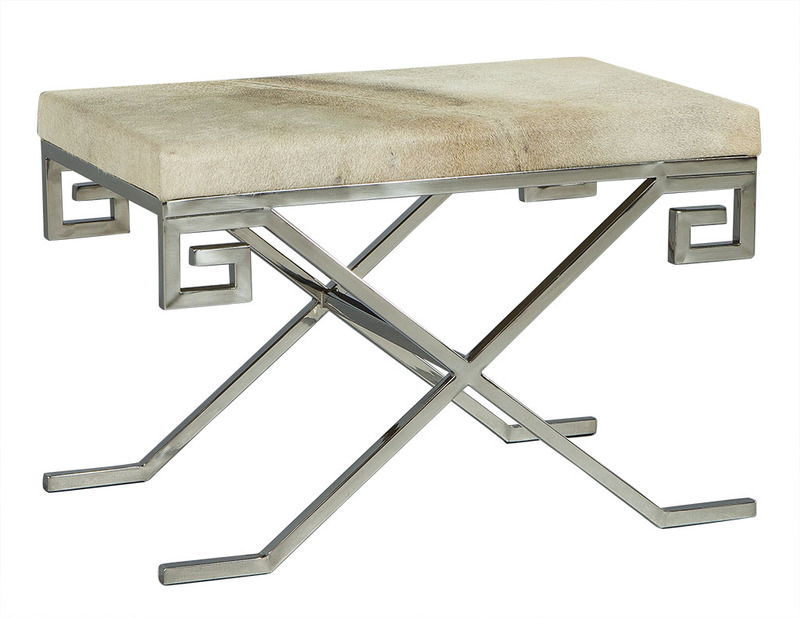 With a grey cow hide top with a Greek key designed, x-base, stainless steel frame. A perfect piece for a richly designed home.